The game that most people call 'tennis' is the direct descendant of what is now known as real tennis or royal tennis (which continues to be played today as a separate sport with more complex rules). Most rules of the game commonly known as tennis derive from it. It is reasonable to see both sports as variations of the same game. 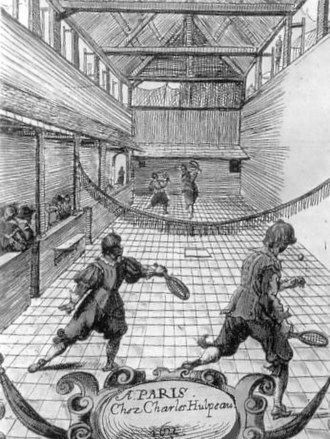 The idea that tennis originated in the monastic cloisters in northern France in the 12th century has been largely discredited, but it is correct that in the first few centuries in which it was played, the ball was then struck with the palm of the hand; hence, the name jeu de paume ("game of the palm"). 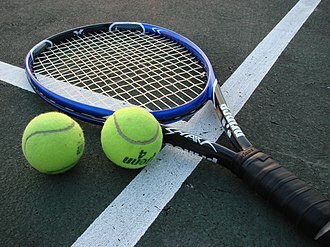 It was not until the 16th century that rackets came into use, and the game began to be called "tennis." It was popular in England and France, and Henry VIII of England was a very big fan of the game, now referred to as real tennis. 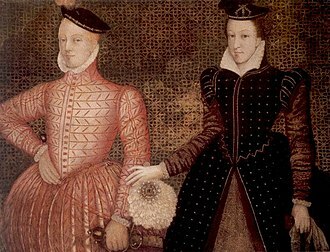 Many original tennis courts remain, including courts at Oxford, Cambridge, Falkland Palace in Fife where Mary Queen of Scots regularly played, and Hampton Court Palace. 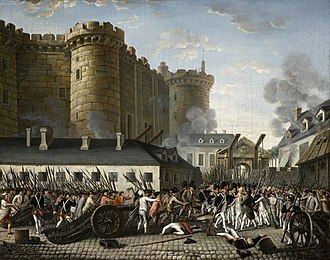 Many of the French courts were decommissioned with the terror that accompanied the French Revolution. The Tennis Court Oath (Serment du Jeu de Paume) was a pivotal event during the first days of the French Revolution. 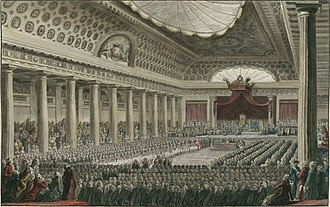 The Oath was a pledge signed by 576 of the 577 members from the Third Estate who were locked out of a meeting of the Estates-General on 20 June 1789. Any history of tennis that ignores its origins in the game that was (and is still in certain circles) known as tennis until "lawn tennis" became popular in the late nineteenth century is inaccurate. The Davis Cup, an annual competition between men's national teams, dates to 1900. The analogous competition for women's national teams, the Fed Cup, was founded as the Federation Cup in 1963 to celebrate the 50th anniversary of the founding of the International Tennis Federation, also known as the ITF. Promoter C. C. Pyle created the first professional tennis tour in 1926, with a group of American and French tennis players playing exhibition matches to paying audiences. The most notable of these early professionals were the American Vinnie Richards and the Frenchwoman Suzanne Lenglen. Once a player turned pro he or she could not compete in the major (amateur) tournaments. In 1968, commercial pressures and rumors of some amateurs taking money under the table led to the abandonment of this distinction, inaugurating the Open Era (see below), in which all players could compete in all tournaments, and top players were able to make their living from tennis. 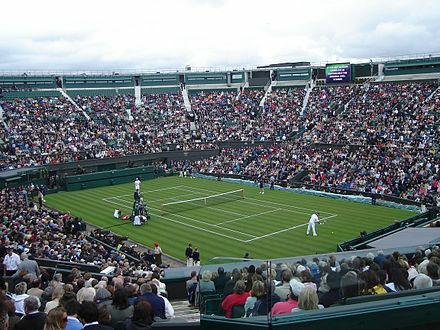 With the beginning of the open era, the establishment of an international professional tennis circuit, and revenues from the sale of television rights, tennis's popularity has spread worldwide, and the sport has shed its upper/middle-class English-speaking image (although it is acknowledged that this stereotype still exists). Tennis is mentioned in literature as far back as the Middle Ages. In The Second Shepherds' Play (c. 1500) shepherds gave three gifts, including a tennis ball, to the newborn Christ. Sir Gawain, a knight of King Arthur's round table, plays tennis against a group of 17 giants in The Turke and Gowin (c. 1500). The Medieval form of tennis is termed as real tennis, a game that evolved over three centuries, from an earlier ball game played around the 12th century in France which involved hitting a ball with a bare hand and later with a glove. By the 16th century, the glove had become a racquet, the game had moved to an enclosed playing area, and the rules had stabilized. Real tennis spread in popularity throughout royalty in Europe, reaching its peak in the 16th century. 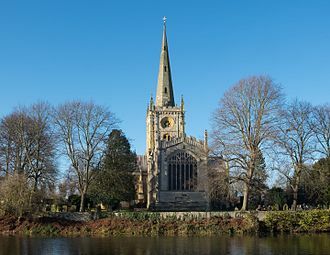 In 1437 at the Blackfriars, Perth, the playing of tennis indirectly led to the death of King James I of Scotland, when the drain outlet, through which he hoped to escape assassins, had been blocked to prevent the loss of tennis balls. James was trapped and killed. 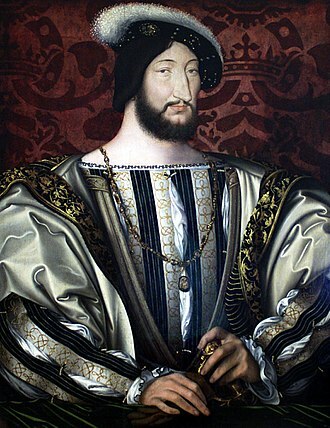 Francis I of France (1515–47) was an enthusiastic player and promoter of real tennis, building courts and encouraging play among the courtiers and commoners. His successor Henry II (1547–59) was also an excellent player and continued the royal French tradition. In 1555 an Italian priest, Antonio Scaino da Salothe, wrote the first known book about tennis, Trattato del Giuoco della Palla. Two French kings died from tennis related episodes—Louis X of a severe chill after playing and Charles VIII after hitting his head during a game. King Charles IX granted a constitution to the Corporation of Tennis Professionals in 1571, creating the first pro tennis 'tour', establishing three professional levels: apprentice, associate, and master. A professional named Forbet wrote and published the first codification of the rules in 1599. 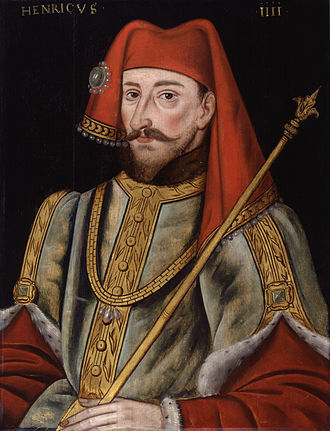 Royal interest in England began with Henry V (1413–22). Henry VIII (1509–47) made the biggest impact as a young monarch; playing the game with gusto at Hampton Court on a court he built in 1530. It is believed that his second wife Anne Boleyn was watching a game when she was arrested and that Henry was playing when news of her execution arrived. During the reign of James I (1603–25), London had 14 courts. 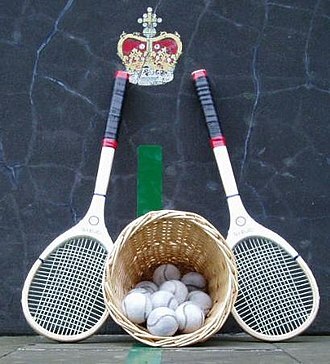 Real tennis is mentioned in literature by William Shakespeare who mentions "tennis balles" in Henry V (1599), when a basket of them is given to King Henry as a mockery of his youth and playfulness; the incident is also mentioned in some earlier chronicles and ballads. One of the most striking early references appears in a painting by Giambattista Tiepolo entitled The Death of Hyacinth (1752–1753) in which a strung racquet and three tennis balls are depicted. 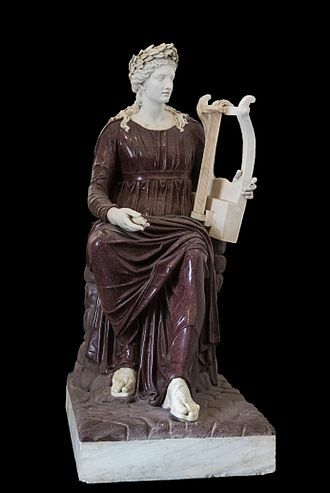 The painting's theme is the mythological story of Apollo and Hyacinth, written by Ovid. Giovanni Andrea dell'Anguillara translated it into Italian in 1561 and replaced the ancient game of discus, in the original text with pallacorda or tennis, which had achieved a high status at the courts in the middle of the 16th century. Tiepolo's painting, displayed at the Museo Thyssen Bornemisza in Madrid, was ordered in 1752 by German count Wilhelm Friedrich Schaumburg Lippe, who was an avid tennis player. The game thrived among the 17th-century nobility in France, Spain, Italy, and in the Austro-Hungarian Empire, but suffered under English Puritanism. By the Age of Napoleon, the royal families of Europe were besieged and real tennis was largely abandoned. 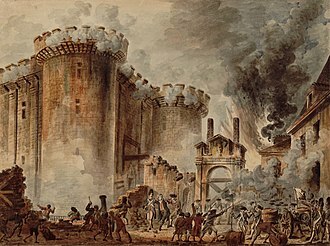 Real tennis played a minor role in the history of the French Revolution, through the Tennis Court Oath, a pledge signed by French deputies on a real tennis court, which formed a decisive early step in starting the revolution. In England, during the 18th and early 19th centuries as real tennis declined, three other racquet sports emerged: racquets, squash racquets, and lawn tennis (the modern game). Between 1859 and 1865, in Birmingham, England, Major Harry Gem, a solicitor, and his friend Augurio Perera, a Spanish merchant, combined elements of the game of rackets and Basque pelota and played it on a croquet lawn in Edgbaston. In 1872, both men moved to Leamington Spa and in 1874, with two doctors from the Warneford Hospital, founded the world's first tennis club, the Leamington Tennis Club. In December 1873, Major Walter Clopton Wingfield designed and patented an hourglass-shaped tennis court in order to obtain a patent on his court (as the rectangular court was already in use), was unpatentable by him. A temporary patent on his hourglass-shaped court was granted to him in February, 1874, which he never renewed when it expired in 1877. It is commonly believed, mistakenly, that Wingfield obtained a patent on the game he devised to be played on that type of court, but in fact Wingfield never applied for nor received a patent on his game, although he did obtain a copyright — but not a patent — on his rules for playing it. 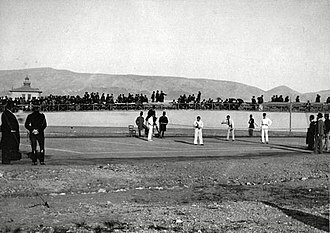 And, after a running series of articles and letters in the British sporting magazine The Field, and a meeting at London's Marylebone Cricket Club, the official rules of lawn tennis were promulgated by that Club in 1875, which preserved none of the aspects of the variations that Wingfield had dreamed up and called Sphaeristikè (Greek: σφαιριστική, that is, "sphere-istic", an ancient Greek adjective meaning "of or pertaining to use of a ball, globe or sphere"), which was soon corrupted to "sticky". Wingfield claimed that he had invented his version of the game for the amusement of his guests at a weekend garden party on his estate of Nantclwyd, in Llanelidan, Wales in 1874, but research has demonstrated that even his game was not likely played during that country weekend in Wales. He had likely based his game on both the evolving sport of outdoor tennis and on real tennis. Much of modern tennis terminology also derives from this period, for Wingfield and others borrowed both the name and much of the French vocabulary of real tennis, and applied them to their variations of real tennis. In the scholarly work Tennis: A Cultural History, Heiner Gillmeister reveals that on December 8 1874, Wingfield had wrote to Harry Gem, commenting that he’d been experimenting with his version of lawn tennis for a year and a half. Gem himself had largely credited Perera with the invention of the game. Wingfield did patent his hourglass court  in 1874, but not his eight-page rule book titled "Sphairistike or Lawn Tennis", but he failed in enforcing his patent. In his version, the game was played on an hourglass-shaped court, and the net was higher (4 feet 8 inches) than it is in official lawn tennis. The service had to be made from a diamond-shaped box in the middle of one side of the court only, and the service had to bounce beyond the service line instead of in front of it. He adopted the rackets-based system of scoring where games consisted of 15 points (called 'aces'). None of these quirks survived the Marylebone Cricket Club's 1875 Rules of Lawn Tennis that have been official, with periodic slight modifications, ever since then. Those rules were adopted by the All England Lawn Tennis and Croquet Club for the first Lawn Tennis Championship, at Wimbledon in 1877 (the men who devised those rules were members of both clubs). Wingfield does deserve great credit for popularizing the game of lawn tennis, as he marketed, in one boxed set, all the equipment needed to play his or other versions of it, equipment that had been available previously only at several different outlets. Because of this convenience, versions of the game spread like wildfire in Britain, and by 1875 lawn tennis had virtually supplanted croquet and badminton as outdoor games for both men and women. Mary Ewing Outerbridge played the game in Bermuda at Clermont, a house with a spacious lawn in Paget parish. 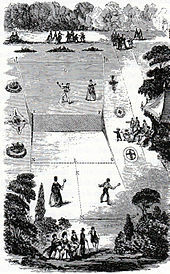 Innumerable histories claim that in 1874, Mary returned from Bermuda aboard the ship S.S. Canima and introduced lawn tennis to the United States, setting up supposedly the first tennis court in the United States on the grounds of the Staten Island Cricket and Baseball Club, which was near where the Staten Island Ferry Terminal is today. The club was founded on or about March 22, 1872. She is also mistakenly said to have played the first tennis game in the US against her sister Laura in Staten Island, New York, on an hourglass-shaped court. However, all this would have been impossible, as the tennis equipment she is said to have brought back from Bermuda was not available in Bermuda until 1875, and her next trip to Bermuda, when it was available there, was in 1877. In fact, lawn tennis was first introduced in the United States on a grass court on Col. William Appleton's Estate in Nahant, Massachusetts by Dr. James Dwight ("the Father of American Lawn Tennis"), Henry Slocum, Richard Dudley Sears and Sears' half-brother Fred Sears, in 1874. Tennis comes from the French tenez, the plural imperative form of the verb tenir, to hold, meaning "hold! ", "receive!" or "take! ", an interjection used as a call from the server to his opponent to indicate that he is about to serve. Racket derives from the Arabic rakhat, meaning the palm of the hand. The origin of the use of Love for zero is disputed. It is ascribed to derive from "l'oeuf", the French word for "egg", traditionally representing the shape of a zero. Another possibility is that it derives from the Dutch expression "iets voor lof doen", which means to do something for praise, implying no monetary stakes. The reason for the numbering of scores being "15", "30" and "40" is unknown. Historical sources suggest the system was originally 15, 30, 45 with the 45 simplified to 40 over time. 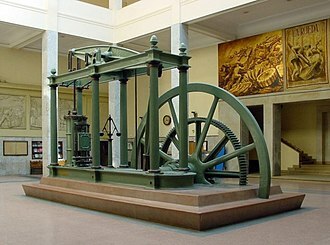 Common theories are that it originated from the quarters of a clock, or from gambling stakes. The Championships, Wimbledon, were founded by the All England Club in 1877 to raise money for the club. The first Championships were contested by 22 men and the winner received a Silver Gilt Cup proclaiming the winner to be "The All England Lawn Tennis Club Single Handed Champion of the World". The first Championships culminated a significant debate on how to standardize the rules. The following year it was recognized as the official British Championships, although it was open to international competitors. In 1884 the Ladies Singles and Gentlemen's Doubles Championships were inaugurated, followed by the Ladies and Mixed Doubles in 1913. Tennis was first played in the U.S. on a grass court set up on the Estate of Col. William Appleton in Nahant, Massachusetts by James Dwight, Richard Dudley Sears and Fred Sears in 1874. In 1881, the desire to play tennis competitively led to the establishment of tennis clubs. The first American National tournament was played in 1880 at the Staten Island Cricket and Baseball Club in New York. An Englishman named Otway Woodhouse won the singles match. There was also a doubles match which was won by a local pair. There were different rules at each club. The ball in Boston was larger than the one normally used in NY. On May 21, 1881, the United States National Lawn Tennis Association (now the United States Tennis Association) was formed to standardize the rules and organize competitions. The US National Men's Singles Championship, now the US Open, was first held in 1881 at Newport, Rhode Island. The U.S. National Women's Singles Championships were first held in 1887 in Philadelphia. The tournament was made officially one of the tennis 'Majors' from 1924 by the International Lawn Tennis Federation (ILTF). The Australian Open was first played in 1905 as The Australasian (Australia and New Zealand) Championships. Because of its geographic remoteness, historically, the event did not gain attendance from the top tennis players. It became one of the major tennis tournaments starting in 1924 (designated by the ILTF). In 1927, because of New Zealand tennis authorities releasing their commitments to the tournament, it became known as the Australian Championships. For most of the 1970s and the early 1980s, the event lacked participation from top ranked tennis professionals. Since its move to Melbourne Park in 1988, the Australian Open has gained the popularity of the other three majors. In 1898, Dwight F. Davis of the Harvard University tennis team designed a tournament format with the idea of challenging the British to a tennis showdown. The first match, between the United States and Great Britain was held in Boston, Massachusetts in 1900. The American team, of which Dwight Davis was a part, surprised the British by winning the first three matches. By 1905 the tournament had expanded to include Belgium, Austria, France, and Australasia, a combined team from Australia and New Zealand that competed jointly until 1913. The tournament was initially known as the "International Lawn Tennis Challenge". It was renamed the Davis Cup following the death of Dwight Davis in 1945. The tournament has vastly expanded and, on its 100th anniversary in 1999, 130 nations competed. 1913 also saw twelve national tennis associations agree at a Paris conference to form the International Lawn Tennis Federation (ILTF), which was renamed in 1977 as the current International Tennis Federation (ITF). The rules the association promulgated in 1924 have remained remarkably stable in the ensuing ninety years, the one major change being the addition of the tie-break system designed by James Van Alen. That same year, tennis withdrew from the Olympics after the 1924 Games but returned 60 years later as a 21-and-under demonstration event in 1984. This reinstatement was credited by the efforts by the then ITF President Philippe Chatrier, ITF General Secretary David Gray and ITF Vice President Pablo Llorens, and support from IOC President Juan Antonio Samaranch. The success of the event was overwhelming and the IOC decided to reintroduce tennis as a full medal sport at Seoul in 1988. The idea of a Davis Cup-style tournament for national women's teams is surprisingly old—it was first proposed in 1919 by Hazel Hotchkiss Wightman. After she was turned down, she donated a trophy in 1923 that would be known as the Wightman Cup, awarded in an annual match between the two strongest women's tennis nations of the time, the United States and Great Britain. Wightman's original idea for a worldwide women's team tournament would bear fruit more than 40 years later in 1962, when Nell Hopman persuaded the ITF to begin sponsoring such an event. The first Federation Cup was played in 1963 as part of the ITF's 50th anniversary celebrations; it involved 16 countries and was played over one week. By the 1990s, over 70 nations competed each year, and regional qualifiers were introduced in 1992. In 1995, the ITF introduced a new Davis Cup-style format for the competition and rechristened it the Fed Cup. In 1926, promoter C. C. Pyle established the first professional tour with a group of American and French players playing exhibition matches to paying audiences. The most notable early professionals were American Vinnie Richards and Frenchwoman Suzanne Lenglen. Once a player turned pro he or she could not compete in the major (amateur) tournaments. The leading professional players were under contract with a professional promoter before the Open Era who controlled their appearances. For example, in 1926 Lenglen and Richards toured North America along with Paul Féret and Mary K. Browne under contract to Charles C. Pyle. The main events of the professional circuit comprised head-to-head competition and by-invitation Pro Championships, which were the equivalent of the Grand Slam tournaments on the professional circuit. Although Suzanne Lenglen was the leading player in the first year of the professional circuit, after she retired in February 1927 very few female players played on the professional circuit before the open era. In the years before the open era, professionals often played more frequently on head-to-head tours than in tournaments because tours paid much better than tournaments and the number of professional tournaments was small. For example, Fred Perry earned U.S. $91,000 ($1,585,970 today) in a 1937 North American tour against Ellsworth Vines but won only U.S. $450 ($8,010) for his 1938 victory at the U.S. Pro Tennis Championships. Vines probably never entered a tournament in 1937 and 1938. In 1937, Vines played 70 matches on two tours and no tournament matches. Even in the 1950s, some professionals continued to play tour matches. During his first five months as a professional (January through May 1957), Ken Rosewall played 76 matches on a tour against Pancho Gonzales but only 9 tournament matches. Joe McCauley determined that for 1952, only 7 professional tournaments were played by the top international players, and 2 other professional tournaments (the British Pro and the German Pro) were reserved for domestic players. Only during the 1960s did professional tournaments become more significant than tours. In addition to head-to-head events several annual professional tournaments were called championship tournaments. The most prestigious was usually the Wembley Championship, held at the Wembley Arena in England, played between 1934 and 1990. The oldest was the U.S. Pro Tennis Championships, played between 1927 and 1999. Between 1954 and 1962, it was played indoors in Cleveland and was called the World Professional Championships. The third major tournament was the French Pro Championship, played between 1930 and 1968. The British and American championships continued into the Open era but devolved to the status of minor tournaments after the late 1960s. The Tournament of Champions was held between 1956 and 1959, the 1956 edition taking place in Los Angeles and the 1957, 1958 and 1959 editions taking place at Forest Hills. There was also the Wimbledon Pro tournament held in August 1967, the first tournament where professional tennis players were allowed to play at Wimbledon. "Open era" redirects here. For other uses, see Open era (disambiguation). The "Open Era" began in 1968 when major tournaments agreed to allow professional players to compete with amateurs. Before 1968, only amateurs were allowed to compete in Grand Slam tournaments and other events organized or sanctioned by the ILTF, including the Davis Cup. The move is made because the English are tired of the hypocrisy in the sport, the shamateurism that plagues high-class tennis. It is well known that amateurs bargain for – and receive – exorbitant expenses to compete at many tournaments. "We must take action on our own account to make the game honest", said Derek Penmam of the British association. "For too long now we have been governed by a set of amateur rules that are quite unenforceable." During the first years of the Open Era, power struggles between the ILTF and the commercial promoters led to boycotts of Grand Slam events. The first Open Era event was the 1968 British Hard Court Championships held in April at The West Hants Club in Bournemouth, England, while the first open Grand Slam tournament was the 1968 French Open in May. Both tournaments were won by Ken Rosewall. The Open Era allowed all tennis players the opportunity to make a living by playing tennis. In 1968, a few professionals were independent, including Lew Hoad, Mal Anderson, Luis Ayala, and Owen Davidson, but most of the best players were under contract. George McCall operated the National Tennis League (NTL) and managed Rod Laver, Ken Rosewall, Andrés Gimeno, Pancho Gonzales, Fred Stolle and Roy Emerson. Dave Dixon (later succeeded by Lamar Hunt) ran World Championship Tennis (WCT) and managed the "Handsome Eight": John Newcombe, Tony Roche, Nikola Pilić, Roger Taylor, Pierre Barthès, Earl "Butch" Buchholz, Cliff Drysdale and Dennis Ralston. In 1968, none of the original Handsome Eight WCT players participated in the French Open. In 1970, NTL players did not play in the Australian Open because their organization did not receive a guarantee. In 1970, neither WCT nor NTL players played in the French Open.
. . . a series of tournaments with a money bonus pool that would be split up on the basis of a cumulative point system. This would encourage the best players to compete regularly in the series, so that they could share in the bonus at the end and qualify for a special championship tournament that would climax the year. In 1970, none of the contract players participated in the French Open. The International Lawn Tennis Federation, alarmed by the control of the promoters, approved Kramer's Grand Prix. Twenty seven tournaments including the three Grand Slams, French Open, Wimbledon and US Open were played that year, with Stockholm tournament ending on 1 November. The independent professional players along with a few contract players, entered the Grand Prix circuit. Contract players could play Grand Prix events provided their contracts allowed it, and that they had adequate time apart from their own circuit. The first WCT tournaments were held in February 1968 and the first NTL tournaments in March 1969. In spring 1970, the WCT absorbed the NTL. At the end of 1970, a panel of journalists ranked the players, leading the WCT to send invitations to the 32 top men to play the 1971 WCT circuit: among the 32, Ilie Năstase, Stan Smith, Jan Kodeš, Željko Franulović and Clark Graebner stayed independent. In 1971, the WCT ran 20 tournaments, and concluded the year with the WCT Finals. In 1971, the majority of the best players still mainly played the WCT circuit. Thus, the 1971 Australian Open was a WCT competition whereas the French Open, Wimbledon and U.S. Open were ILTF Grand Prix events. By then, the rivalry between the two groups became so intense that Rosewall, Gimeno, Laver, Emerson and some other WCT players boycotted the 1971 US Open (although Newcombe played and lost in the first round to Kodes). Bill Riordan (the future manager of Jimmy Connors) complicated matters further with a third professional tour, the U.S. Indoor Circuit. In 1972, the conflict between the ILTF and the WCT culminated in the ILTF banning the contract professional players from all ILTF Grand Prix events between January and July, which included the 1972 French Open and 1972 Wimbledon. At the 1972 US Open in September, all the players attended and agreed to form a player syndicate to protect themselves from the promoters and associations, resulting in the creation of the Association of Tennis Professionals (ATP). In 1973, there were four rival professional circuits: the WCT circuit, the Grand Prix circuit, the U.S. Indoor Circuit with Connors and Ilie Năstase and the European Spring Circuit with Năstase as their star. During the year, the ILTF banned Nikola Pilić from 1973 Wimbledon, due to Pilic's alleged refusal to play in Yugoslavia's Davis Cup tie against New Zealand. In retaliation, 81 out of 84 of Pilic's fellow players who were ATP members, boycotted 1973 Wimbledon in response, stating that professional players should have the right of deciding whether to play Davis Cup matches or not. The only ATP players who refused to boycott 1973 Wimbledon were Ilie Năstase, Roger Taylor and Ray Keldie. They were later fined by the ATP for their participation in the tournament. In 1978 the ILTF Grand Prix and WCT circuits merged. However, In 1982, the WCT circuit separated again and created a more complex WCT ranking, similar to the ATP ranking. The WCT wasn't as successful in the 1980s, and the Grand Prix circuit became the primary circuit. The Grand Prix's governance was led by the 'Men's International Professional Tennis Council (MIPTC)' (also called the Men's Tennis Council (MTC)). The WCT Finals in Dallas continued being held until the end of the 1980s, and then disbanded with the creation of the ATP Tour for 1990. The Open Era, the global professional circuit, and television helped tennis spread globally and shed its elitist, anglocentric image. In America in the 1970s, courts are a common feature of public recreational facilities. Accordingly, in the 1970s the U.S. Open moved from the posh West Side Tennis Club to a public park (the USTA Billie Jean King National Tennis Center, Flushing Meadows Park) that is accessible to anyone who buys a ticket. About the same time, the ruling body's name changed from the United States Lawn Tennis Association to the United States Tennis Association. In 1990, the Association of Tennis Professionals, led by Hamilton Jordan, replaced the MTC as the governing body of men's professional tennis. They established the ATP Tour, and packaged the nine most prestigious events as the "Championship Series - Single Tournament Week", and beginning in 1996, as the "Super Nine". Twelve of the Grand Prix which were slightly less prestigious than the first nine events were renamed as the "Championship Series - Double Week" (meaning in most cases, 2 of those tournaments occurred the same week), and commencing in 1996, as International Series Gold, while the remaining (approximately 60) became known as the International Series. Winning a Super Nine tournament was worth roughly half the points (370) of winning a Grand Slam tournament (750), while International Series Gold tournament was worth as much as 360 points depending on the total prize money. The format continued until 2000 at which time the Super Nine were renamed the Masters Series (the winner being awarded 500 points), occupying the rank below the Grand Slams (1000 points for the winner), and the International Series Gold were renamed to simply the Championship Series (worth 250 to 300 points for the winner). In 2000, the Grand Slam tournaments and the Masters Series tournaments became mandatory professional events if a player's ranking qualifies them for the tournament. Players were automatically entered and Masters and Slam events became the baseline for player rankings with up to an additional 5 tournaments also counted (18 in all plus the ATP Finals if they qualify). Before 2000, a players' best 14 tournaments were counted towards the ATP Point Rankings. In 2009, the Masters events were renamed the ATP World Tour Masters 1000 with the Monte-Carlo Masters becoming a non-mandatory event, meaning a player could use his results from a lower-level tournament in place of it. International Series Gold became the ATP World Tour 500 and the remaining events became the ATP World Tour 250. The numbers in the tournament type name indicate the winners' ranking points. By way of comparison, a winner of one of the four Grand Slam tournaments is awarded 2000 points. In 2009, a greater emphasis began to be placed on winning a tournament, as the points awarded to the runner-up dropped from 70% of the champion's points to 60% (i.e. from 700 points to 600 points in a Masters 1000 event). Points also began to be awarded for Davis Cup singles play. Women's professional tennis began in 1926, when world number one female player Suzanne Lenglen accepted $50,000 for a series of matches against three-time US Champion Mary K. Browne. The series ended in 1927, and the women did not compete as professionals again until 1941 when Alice Marble headlined a tour against Mary Hardwick. World War II hindered most professional competitions and many players were involved with entertaining the troops. In 1947, women professionals were again in action with a short-lived series of exhibition matches between Pauline Betz and Sarah Palfrey Cooke, both U.S. National Champions. In 1950 and 1951, Bobby Riggs signed Betz and Gussie Moran to play a pro tour with Jack Kramer and Pancho Segura, wherein Betz dominated Moran. Althea Gibson turned professional in 1958 and joined with Karol Fageros ("the Golden Goddess") as the opening act for the Harlem Globetrotters for one season. There was virtually no further women's professional tennis until 1967, when promoter George McCall signed Billie Jean King, Ann Jones, Françoise Dürr, and Rosie Casals to join his tour of eight men for two years. The professional women then played as independents as the Open Era began. In 1970, promoter for the Pacific Southwest Championships in Los Angeles Jack Kramer offered the women only $7,500 in prize money versus the men's total of $50,000. When Kramer refused to match the men's prize money, King and Casals urged the other women to boycott. Gladys Heldman, American publisher of World Tennis magazine, responded with a separate women's tour under the sponsorship of Virginia Slims cigarettes. In 1971 and 1972 the WT Women's Pro Tour offered nearly ten times the prize money of other pro women's tennis events. The USLTA initially would not sanction the tour; however, the two groups determined to give Virginia Slims the individual events, and the USLTA the tour, thus resolving the conflict. In 1973, the U.S. Open made history by offering equal prize money to men and women. Billie Jean King, the most visible advocate for the women's cause, earned over $100,000 in 1971 and 1972. In the famous Battle of the Sexes exhibition match against the vocally sexist Bobby Riggs in September 1973, King brought even more media attention to tennis, and to women professionals in all walks of life by beating Riggs. The Women's Tennis Association, formed in 1973, is the principal organizing body of women's professional tennis, organizing the worldwide, professional WTA Tour. From 1984–98, the finals matches of the championship event were best-of-five, uniquely among women's tournaments. In 1999, the finals reverted to best-of-three. The WTA Tour Championships are generally considered to be the women's fifth most prestigious event (after the four Grand Slam tournaments.) Sponsors have included Virginia Slims (1971–78), Avon (1979–82), Virginia Slims again (1983–94), J.P. Morgan Chase (1996–2000), Sanex (2001) Home Depot (2002), and Sony Ericsson (2006). In 1954, James Van Alen founded the International Tennis Hall of Fame, a non-profit museum in Newport, Rhode Island. The building contains a large collection of memorabilia as well as honoring prominent players and others. Each year, a grass-court tournament takes place on its grounds, as well as an induction ceremony honoring new members. ^ The first known instance of the word tennis in the English language dates to 1396 when a William Terrey had to appear before the burghmote of Canterbury for allowing people to play le Closhe and le Tenesse on his ground. ^ Gillmeister, Heiner (1998). Tennis : A Cultural History. Washington Square, N.Y.: New York University Press. p. 117. ISBN 081473121X. ^ "Davis Cup History". ITF. ^ a b c d e f g h "Suzanne Lenglen and the First Pro Tour". Retrieved 2007-05-29. ^ "History of the Pro Tennis Wars Chapter 2, part 1 1927–1928". Retrieved 2007-05-29. ^ Kate Magee (2008-07-10). "Max Clifford to help shed tennis' middle-class image". PR Week. Retrieved 2008-08-02. ^ The Sugarman. "There are 3 levels of social class in tennis: Upper middle class, middle class and lower middle class". BookieBusters.net. Retrieved 2008-08-02. ^ "tennis – Origin and history of tennis by Online Etymology Dictionary". Etymonline.com. Retrieved 8 October 2017. ^ Gillmeister, Heiner (1998). Tennis : A Cultural History. Washington Square, N.Y.: New York University Press. p. 106. ISBN 081473121X. ^ Gillmeister, Heiner (1998). Tennis : A Cultural History. Washington Square, N.Y.: New York University Press. p. 40. ISBN 081473121X. ^ Whitman, Malcolm D. (2004) . Tennis : Origins and Mysteries (Dover ed.). Mineola, N.Y.: Dover Publications. pp. 25, 26. ISBN 0486433579. ^ United States Tennis Association (1979). 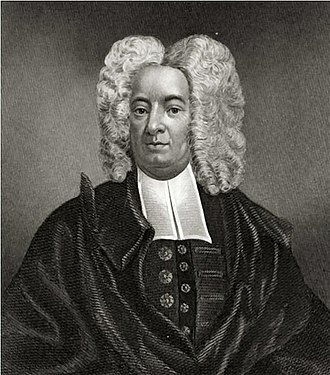 Bill Shannon, ed. Official Encyclopedia of Tennis (Rev. and updated 1st ed.). New York: Harper & Row. p. 2. ISBN 0060144785. ^ "John Gower: In Praise of Peace". University of Rochester. Retrieved 11 October 2012. ^ Gillmeister, Heiner (1998). Tennis : A Cultural History. Washington Square, N.Y.: New York University Press. pp. 75, 76. ISBN 081473121X. ^ Clerici, Gianni (1976). Tennis. London: Octopus Books. p. 21. ISBN 9780706405231. OCLC 16360735. ^ "Leamington Tennis Club". Retrieved 2007-05-29. ^ E. M. Halliday (June 1971). "Sphairistiké, Anyone?". American Heritage. ^ Robertson, Max (1974). Encyclopedia of Tennis. The Viking Press. pp. 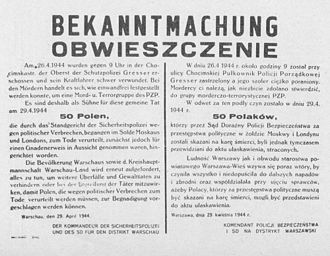 22–24. 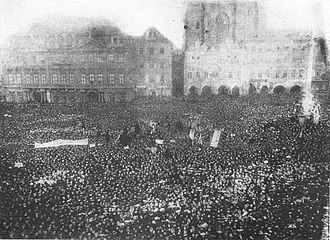 ^ "23 February 1874 in History". Retrieved 2007-05-29. ^ "When the Girls Came Out to Play: The Birth of American Sportswear". Retrieved 2007-05-29. ^ Barrett, John (2010). The Original Rules of Tennis. Oxford: Bodleian Library. pp. 13–19. ISBN 9781851243181. ^ "Bermuda's Place in Tennis History". Blackburne. ^ "Bermudas Place in Tennis History > The IC of Bermuda". Ictennis.net. Retrieved 8 October 2017. ^ a b "Our History". Staten Island Tennis Association. Retrieved 8 October 2017. ^ "Online Etymology Dictionary". Etymonline.com. 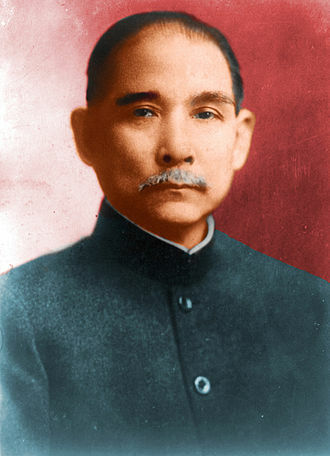 1927-06-10. Retrieved 2013-05-15. ^ "Tennis from Beijing Olympics 2008". Archived from the original on 2007-11-01. Retrieved 2007-05-29. ^ a b "The Online Guide to Traditional Games". Retrieved 2007-05-29. ^ Palmatier, Robert. Speaking of animals: a dictionary of animal metaphors, page 245 (1995). ^ Horn, Geoffrey. Rafael Nadal, page 13 (2006). ^ Bondt, Cees de (1993). Heeft yemant lust met bal, of met reket te spelen...?. Hilversum: Verloren. p. 10. ISBN 9789065503794. ^ "Originality of the phrase "Grand Slam"". Archived from the original on 2012-09-06. Retrieved 2007-05-29. ^ "History of Tennis". International Tennis Federation. Retrieved 2008-07-28. ^ "The Trophies". wimbledon.org. Archived from the original on 2009-04-27. Retrieved 2010-11-12. ^ "Roll of Honour". wimbledon.org. Archived from the original on 2010-12-09. Retrieved 2010-11-12. ^ "Women In Sport". Archived from the original on 2007-06-14. Retrieved 2007-05-29. ^ "History of United States Tennis Association". Archived from the original on 2007-10-30. Retrieved 2007-05-29. ^ "Fact & History of Rhodes Island". Retrieved 2007-05-29. ^ "Tennis: Britain Misses Out on World Party That Once Roused Fury of the Fuhrer". Archived from the original on 2006-02-25. Retrieved 2007-05-29. ^ "Davis Cup History". daviscup.com. Retrieved 2010-12-05. ^ "Davis Cup by BNP Paribas". Retrieved 2007-05-29. ^ History of The Davis Cup. Retrieved 2007-09-10. ^ "James Henry Van Alen in the Tennis Hall of Fame". Archived from the original on September 30, 2007. Retrieved 2007-05-29. ^ "Fed Cup History". International Tennis Federation (ITF). ^ a b "Open tennis accepted for Wimbledon". espn.go.com. ESPN. 14 December 1967. ^ Henderson, Jon (15 June 2008). "Now I'd choose tennis". The Observer. 'Yes, "open" tennis has come at last and Bournemouth has been entrusted with the task of a world shaking launching,' said the programme notes for the 1968 Hard Court Championships of Great Britain, which brought an end to the sport's segregation of amateur and professional players. ^ "Event Guide / History: Roland-Garros, a never-ending story". Roland Garros Official Website. IBM Corporation and Fédération Française de Tennis. Archived from the original on 2008-07-04. Another significant turning point came in 1968 when the French Internationals became the first Grand Slam tournament to join the "Open"" era. ^ "Power struggle on the tennis courts". The Canberra Times. 19 June 1969. p. 30 – via National Library of Australia. ^ "French to lift ban on W.T.T. players". The New York Times. 4 November 1974. ^ "ATP corporate history". Retrieved 14 September 2016. ^ "History of the West Side Tennis Club". Archived from the original on 2004-05-19. Retrieved 2007-05-29. ^ "History of USTA". Archived from the original on November 12, 2006. Retrieved 2007-05-29. ^ "International Tennis Hall of Fame Information". Archived from the original on May 18, 2007. Retrieved 2007-05-29. Wikimedia Commons has media related to History of tennis. Squash is a racket sport played by two or four players in a four-walled court with a small, hollow rubber ball. The players must alternate in striking the ball with their racket, the game was formerly called squash rackets, a reference to the squashable soft ball used in the game. The governing body of Squash, the World Squash Federation is recognised by the International Olympic Committee, supporters continue to lobby for its incorporation in a future Olympic program. The use of stringed rackets is shared with tennis, which dates from the sixteenth century. In rackets, instead of hitting over a net as in such as tennis. 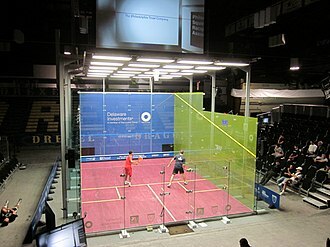 Squash was invented in Harrow School out of the older game rackets around 1830 before the spread to other schools. The first courts built at this school were rather dangerous because they were near water pipes, chimneys, the school soon built four outside courts. Natural rubber was the material of choice for the ball, students modified their rackets to have a smaller reach to play in these cramped conditions. The rackets have changed in a way to those used in tennis. Squash rackets used to be out of laminated timber. In the 1980s, construction shifted to materials with small additions of components like Kevlar, boron. Natural gut strings were replaced with synthetic strings. In the 19th century the increased in popularity with various schools and even private citizens building squash courts. 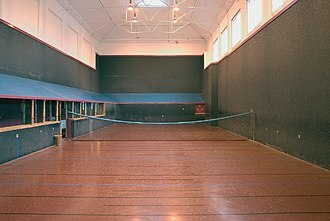 The first squash court in North America appeared at St. Pauls School in Concord, in 1904 in Philadelphia, the earliest national association of squash in the world was formed as the United States Squash rackets Association, now known as U. S. Squash. In April 1907 the Tennis, rackets & Fives Association set up a sub committee to set standards for squash, the sport soon formed, combining the three sports together called “Squash”. In 1912, the RMS Titanic had a court in first class. The 1st-Class Squash Court was situated on G-Deck and the Spectators Viewing Gallery was on the deck above on F-Deck, to use the Court cost 50 cents in 1912. Charles VIII, called the Affable, French, lAffable, was a monarch of the House of Valois who ruled as King of France from 1483 to his death in 1498. He succeeded his father Louis XI at the age of 13 and his elder sister Anne of France acted as regent jointly with her husband Peter II, Duke of Bourbon until 1491 when the young king turned 21 years of age. During Annes regency, the great lords rebelled against royal centralisation efforts in a known as the Mad War. 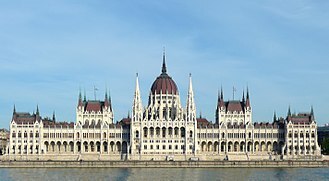 Preoccupied by the succession in the Kingdom of Hungary, Maximilian failed to press his claim. 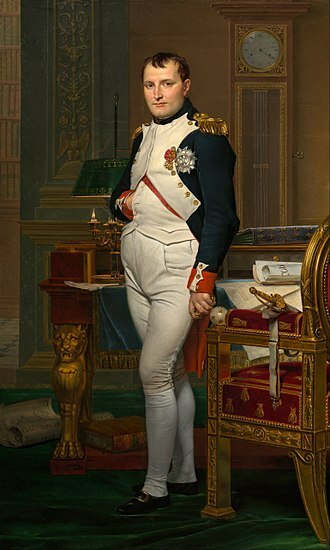 Upon his marriage, Charles became administrator of Brittany and established a union that enabled France to avoid total encirclement by Habsburg territories. The coalition formed against the French invasion of 1494-98 finally drove out Charles army, Charles died in 1498 after accidentally striking his head on the lintel of a door. Since he had no heir, he was succeeded by his cousin Louis XII of France from the Orléans cadet branch of the House of Valois. Charles was born at the Château dAmboise in France, the surviving son of King Louis XI by his second wife Charlotte of Savoy. Charles succeeded to the throne on 30 August 1483 at the age of 13 and he was regarded by his contemporaries as possessing a pleasant disposition, but as foolish and unsuited for the business of the state. She would rule as regent, together with her husband Peter of Bourbon, Charles was betrothed on 22 July 1483 to the 3-year-old Margaret of Austria, daughter of the Archduke Maximilian of Austria and Mary, Duchess of Burgundy. 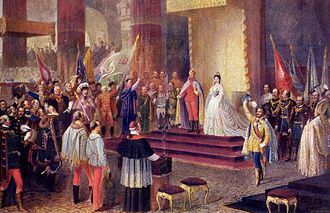 The marriage was arranged by Louis XI, and the Estates of the Low Countries as part of the 1482 Peace of Arras between France and the Duchy of Burgundy. Margaret brought the Counties of Artois and Burgundy to France as her dowry, in 1488, Francis II, Duke of Brittany, died in a riding accident, leaving his 11-year-old daughter Anne as his heiress. The Regent Anne of France and her husband Peter refused to countenance such a marriage, since it would place Maximilian and his family, the Habsburgs, on two French borders. A racket or racquet is a sports implement consisting of a handled frame with an open hoop across which a network of strings or catgut is stretched tightly. It is used for striking a ball or shuttlecock in games such as squash, racquetball, these games are known as racket sports. This predecessor to the game of squash, rackets, is played with 30 1⁄2-inch-long wooden rackets. While squash equipment has evolved in the century, rackets equipment has changed little. The frame of rackets for all sports was made of laminated wood. The traditional racket size was limited by the strength and weight of the frame which had to be strong enough to hold the strings. Manufacturers started adding non-wood laminates to wood rackets to improve stiffness, non-wood rackets were made first of steel, of aluminium, and carbon fiber composites. Wood is still used for tennis and xare. Most rackets are now made of materials including carbon fibre or fiberglass, metals such as titanium alloys. Catgut has partially replaced by synthetic materials including nylon, polyamide. Louis was the eldest son of Philip IV of France and Joan I of Navarre. Louis uncle—Charles of Valois, leader of the feudalist party—managed to convince the king to execute Enguerrand de Marigny, Louis allowed serfs to buy their freedom, abolished slavery, and readmitted French Jews into the kingdom. In 1305, Louis had married Margaret of Burgundy, with whom he had Joan II of Navarre, Margaret was convicted of adultery and died in prison, possibly murdered by strangulation. In 1315, Louis married Clementia of Hungary, who gave birth to John I of France a few months after the kings death, johns untimely death led to a disputed succession. Louis was born in Paris, the eldest son of Philip IV of France and he inherited the kingdom of Navarre on the death of his mother, on 4 April 1305, being crowned 6 June 1313. On 21 September 1305, at age 16, he married Margaret of Burgundy and they had a daughter, Louis was known as the Quarreler as the result of the tensions prevailing throughout his reigns. Both Louis and Margaret became involved in the Tour de Nesle affair towards the end of Philips reign, in 1314, Margaret and Joan—the latter two being the wives of Louis brothers Charles and Philip, respectively—were arrested on charges of infidelity. Margaret and Blanche were both tried before the French parliament that year and found guilty and their alleged lovers were executed, and the women had their hair shorn and were sentenced to life imprisonment. Philip stood by his wife Joan, who was found innocent. 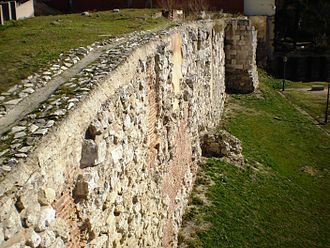 Margaret would be imprisoned at Chateau Gaillard, where she died, on the death of his father in 1314, Louis became King of France. Louis and Clementia were crowned at Reims on 24 August 1315, Louis was king of Navarre for eleven years and king of France for less than two years. In 1315, Louis X published a decree proclaiming that France signifies freedom and this prompted subsequent governments to circumscribe slavery in the overseas colonies. 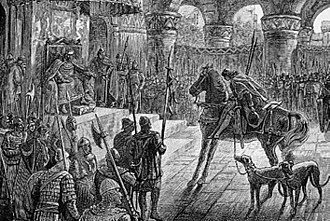 Leagues of regional nobles began to form around the country, demanding changes, when these failed, Charles convinced Louis to bring sorcery charges against him instead, which proved more effective and led to de Marignys execution at Vincennes in April 1315. 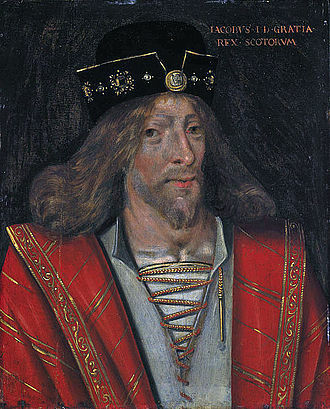 James I, King of Scotland from 1406, was the son of King Robert III and Annabella Drummond. He was the last of three sons, although parliament exonerated Albany, fears for Jamess safety grew during the winter of 1405–1406 and plans were made to send him to France. He remained there until mid-March, when he boarded a vessel bound for France, two weeks later, on 4 April the ailing Robert III died, and the 12-year-old uncrowned King of Scots began his 18-year detention. The Scottish Kings cousin, Murdoch Stewart, Albanys son, a captive in England since 1402, was traded for Henry Percy, eight more years passed before James was ransomed, by which time Murdoch had succeeded his father to the dukedom and the governorship of Scotland. 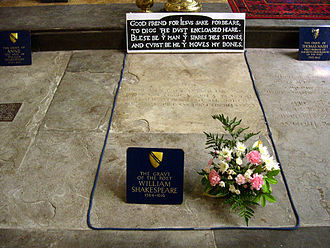 James married Joan Beaufort, daughter of the Earl of Somerset in February 1424 shortly before his release in April when they journeyed to Scotland. This was not altogether a popular re-entry to Scottish affairs, since James had fought on behalf of Henry V, noble families would now not only have to pay increased taxes to cover the £40,000 ransom repayments but would have to provide hostages as security. Despite this, James held qualities that were admired, the contemporary Scotichronicon by Walter Bower described James as excelling at sport and appreciative of literature and music. Unlike his father and grandfather he did not take mistresses, but had children by his consort. 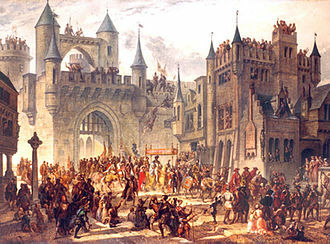 The King had a desire to impose law and order on his subjects. 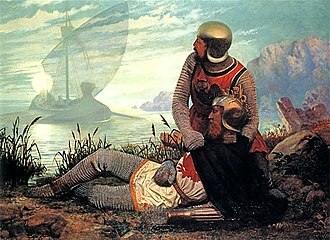 In 1428 James detained Alexander, Lord of the Isles, while attending a parliament in Inverness, Archibald, 5th Earl of Douglas, was arrested in 1431, followed by George, Earl of March, in 1434. 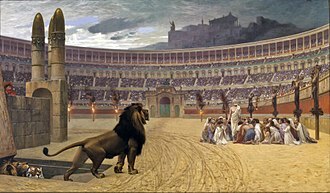 The plight of the hostages held in England was ignored. In August 1436, James failed humiliatingly in his siege of the English-held Roxburgh Castle, James was murdered at Perth on the night of 20/21 February 1437 in a failed coup by his uncle and former ally Walter Stewart, Earl of Atholl. Queen Joan, although wounded, managed to evade the attackers and was reunited with her son James II in Edinburgh Castle. James was probably born in late July 1394 at Dunfermline Abbey,27 years after the marriage of his parents Robert III and it was at Dunfermline under his mothers care that James would have spent most of his early childhood. A modern tennis racket, with carbon fiber-reinforced polymer frame. One of the ways a tennis racket can be held.